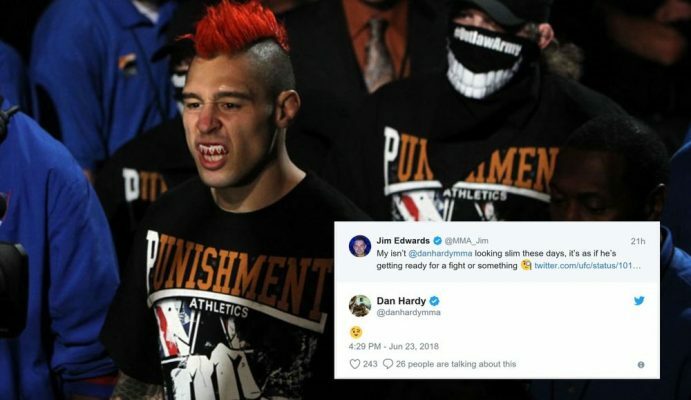 It’s been nearly six years since Dan Hardy has fought inside the UFC Octagon, but his long awaited return might not be far away. Hardy has made no secret about wanting to have one last fight and earlier this year he suggested that the Madison Square Garden fight card on Nov. 10 could be the one. That was back at Cage Warriors 93 in late April and now two months on, Hardy is starting to look like a man getting into fight shape. If you’ve seen Hardy in person recently, he’s noticeably walking around at a lower weight and it’s probably not a coincidence that his social media is ever increasingly filled with videos of him working out hitting bags and even this weekend doing some visualisation work in the Octagon ahead of UFC Singapore. So can this return happen in November at Madison Square Garden? Well, according to Hardy back in April, he would have to enter the USADA testing program for a four month period. With the MSG fight card taking place on Nov. 10, Hardy would have to officially be back in the program in the first week of July. It’s worth noting that whilst Hardy might have been under the impression he would need to be back in the USADA pool for four months, last year in April, the rules changed with athletes who retire or leave the UFC because of “athlete initiated activity” (decline contacts etc.) having to re-enter the testing pool for a period of 6 months. This is however one of the circumstances where USADA can grant reduction or waiver if the circumstances are deemed “unfair on the athlete” and given the circumstances surrounding Hardy’s retirement, it’s not out of the question he has been granted one. Anyway… who could he fight? 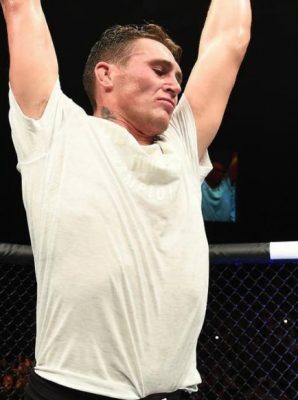 If you’ve Hardy speak about this matter over the last few years he’s pretty consistently stated that he wants to fight someone at 155/170lbs who have name value and that people instantly recognise. He doesn’t want to fight an up and comer and that makes all the sense in the world. Why would he? 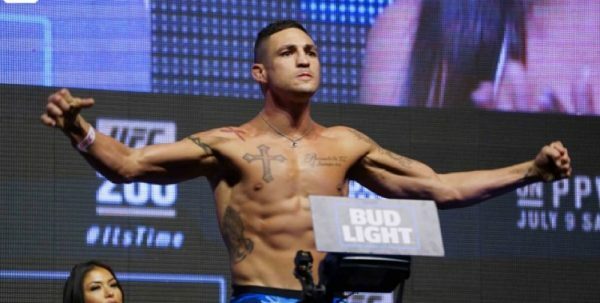 How about Diego Sanchez? Hardy has already stated he’s like to see Diego retire and he’s right, we certainly don’t need to see ‘The Lionheart’ fed to another up and coming beat. However, who wouldn’t want to see one last hurrah with Sanchez and Hardy throwing down in Madison Square Garden. It sells itself and it ticks all the boxes, but with Hardy seemingly distancing himself from it, maybe it’s not meant to be. 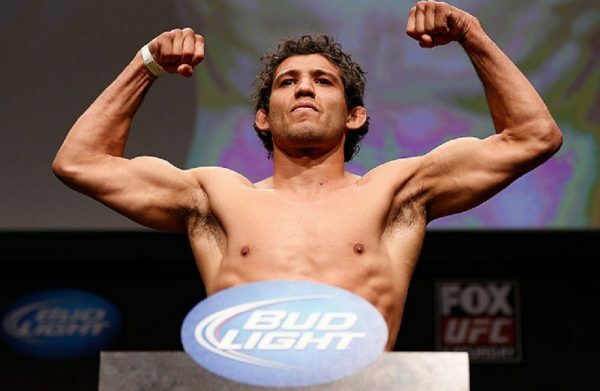 How about Gilbert Melendez? The former Strikeforce champion hasn’t won since 2013, but he carries a lot of name value and respect in the MMA community. Like Hardy, Melendez appears to only want to fight big name opponents these days and a showdown with Hardy at Madison Square Garden will no doubt fit that bill. It’s not been talked about much, but why not. How about a rematch with Carlos Condit? It’s been nearly 8 years since the two fought and I’m sure the loss still stings. Condit must now be edging towards retirement and given his place in the division following four straight losses this is probably one of the more lucrative fights out there for him. How about a rematch with Georges St-Pierre? Not going to happen. It’s pretty widely known that St-Pierre wants the McGregor fight (doesn’t everyone!). It’s probably case of this ship has sailed. Having been through the fire fighting some of the newest top prospects at 170lbs, isn’t it time we let Donald Cerrone fight one of his own generation? “Cowboy” ticks all the boxes. He’s a lightweight willing to fight guys at 170, he has a lot of name value, and he’s game as f*** even on his worst day. Dan Hardy vs Donald Cerrone is a fight that both men deserve and a fight that the fans want to see. Any of the above would be fine with me, but right here, right now, it’s “The Outlaw” vs “Cowboy” at MSG that I want to see. While we are at it, let’s do it at a catchweight. No one needs to see either of those two make 156-pounds ever again. What do you think? Will we see Dan Hardy at MSG? Will it be Cerrone standing across from him?